"If you need a burden lifted, I want you to imagine I am in a personal, private, closed-door chat with you. I want to help you if I can." With those words, Elder Jeffrey R. Holland invites every reader of his latest book to become a friend, to receive instruction and encouragement, counsel and comfort. Elder Holland addresses these powerful messages "to my friends who love the Lord," "to my friends who want to change," "to my friends who face opposition," and more. Each chapter begins with a beautifully designed quotation to help convey the message in an artistic way, making the book a lovely gift for friends to share. Throughout, Elder Holland's powerful witness of the Savior shines through, for, as he writes, "I am grateful for the greatest friend any of us could ever have, in time or eternity, the Lord Jesus Christ." Jeffrey R. Holland was called as a member of the Quorum of the Twelve Apostles of The Church of Jesus Christ of Latter-day Saints in June 1994. A native of St. George, Utah, he received bachelor's and master's degrees from Brigham Young University and a master's degree and PhD in American Studies from Yale University. In 1974 he became dean of Religious Education at BYU and two years later was named Church Commissioner of Education. In 1980 he was appointed president of BYU, where he served until he was sustained as a member of the First Quorum of the Seventy in 1989. Elder Holland is the author of several books, including Broken Things to Mend and Christ and the New Covenant. He and his wife, Patricia, have three children and thirteen grandchildren. 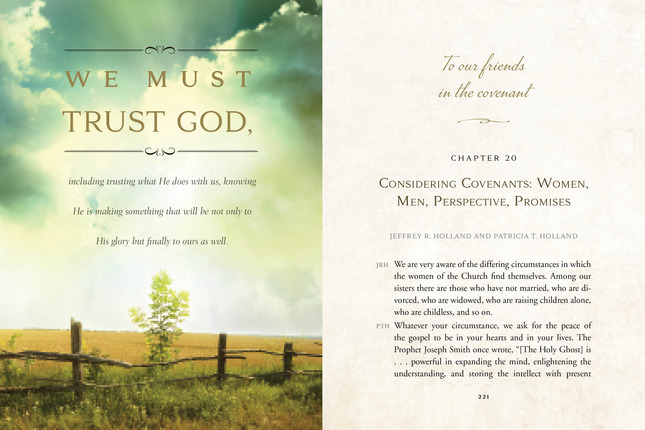 Elder Holland of the Quorum of the Twelve Apostles gives his personal opinions, perceptions, and council to the readers of his book "To My Friends." Each chapter is entitled with a simple phrase to encompass each question asked or answers sought after for those seeking for meaning and change in their life through the gospel of Jesus Christ. Titles include: "To My Friends Who Want To Change," "To My Friends Who Want To Move Forward," and "To My Friends Who Feel Alone." This book is extremely personal and direct, yet comforting and peaceful. Each chapter pulls you in with witnesses and examples from history, recent and times passed, to prove the validity of his council. Ultimately Holland's objective is achieved as it leaves you feeling an unsurpassable friendship not only with him but as well with the Lord, as Holland describes: "One of the great consolations of our mortality is that because Jesus walked such a long, lonely path utterly alone, we do not have to do so." One of the most powerful forces to exist is captured in this book, and formed within the amount of time you give to read it, that force is friendship, offered because of sincere interest in one's happiness from an apostle of the Lord. If you want to feel love, if you want to change, if you face opposition in any way, or if you are just simply seeking guidance in your life; read "To My Friends" by Elder Jeffrey R. Holland, and you will find what you are looking for, even if you don't know exactly what that is, He [the Lord] does. I bought three of these for graduation gifts. It is a beautiful book that will be great for young adults. It's divided into sections for different issues such as "to my friends who face opposition" or "to my friends who long to believe." Before each talk, is a quote laid out in a beautiful display. I like the book because of the sections and I believe it will be easy for the kids to pick up and read a section at a time. I think it will help the grads as they go out into the world. This book is a compilation of some of his best talks that have been given in General Conference and devotionals over approximately the last 20 years. Many of these talks I have read or listened to before, but they are a reminder of how powerful they were and still are! I've been using this book with my scripture study over the last few weeks and I have loved it! I looked forward to scripture study every day because I couldn't wait to read another Elder Holland talk. His talks are motivating, powerful, and completely applicable to everyone. Even talks that I thought, oh this probably won't apply to me, I don't really struggle with that. Wrong. He makes everything applicable to everyone! To My Friends is a great book to have on your shelf at home. It's great for studying, sharing with family members and friends, and as a reference for your lessons and talks. This book came right when I needed it. I knew the material wasn't new, but the messages within were still truly heartfelt and touching. Elder Holland has always been a favorite apostle of mine to listen to at General Conference and during the year. I even have a picture of a quote of his on my phone. This book not only has beautiful messages, it is beautiful to look at. Most of the chapters had me in tears, knowing the truth and power of the words I was reading. Each chapter has a message with a lovely quote that I can imagine Elder Holland speaking himself. I had many favorites, but this one struck me the most. 5 out of 5 stars. This book is something your whole family can read and treasure together. Maybe not all of the messages will apply to everyone, but I promise you it is worth the read. I received a hardback copy from the publisher in exchange for an honest review. This new book by Elder Holland is a compilation of past talks with beautifully designed quotations pages on a rich background of color. It's true that I have heard many of these talks before but they are still wonderful to have in a nice hardbound volume. His words of comfort and messages of counsel are timeless and I enjoyed reading through these talks. Some I was hearing for the 2nd time but some I was hearing for the 1st time. (I'm a convert!) As, I was reading, I was sure wishing I had the ability to frame the beautiful artwork and hang it in my house! 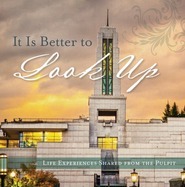 I love the words of Elder Holland and this book is fantastic!! This book is a compilation of 21 talks he has given through the years. Each one addresses a different topic. I went through first and read the ones that I felt I needed to hear. Each time I would finish, I thought that was the best talk of his I'd ever read, until I finished reading the next one. Then I read the rest--the ones I didn't feel as strong of a connection to, and found that I needed all that comfort and counsel, too! Some of these were familiar to me as I had heard them before. I liked that there were some I hadn't heard yet because they were given at devotionals and other meetings. This is a beautiful book which will make a great gift for anyone. Each chapter starts with a quote. I love all of these talks and it's too hard to pin down my favorite one. One of the chapters includes a talk he gave with his wife, Patricia T. Holland, at BYU Women's Conference on April 28, 1994, entitled, "Considering Covenants: Women, Men, Perspective, Promises." This is a book I will read again and again. They do indeed bring comfort and give wonderful counsel. I felt uplifted, inspired and hopeful at the end of each chapter. This is a book that everyone will benefit from reading! It's fun for me to read a book where I can hear the voice of the writer in my head. That adds to the whole idea of sitting down in a room and having chat with Elder Holland. Elder Holland is a speaker that I enjoy listening to. I love to listen to him speak and then read his talks. He has a talent of reaching my heart and mind. This book has 21 chapters that range in topics. He writes them to his friends who want to move forward, of other faiths, who seek and share love, who would be clean, who feel alone. There are a few of the chapter topics. You can sit down and read this book at once, or take each chapter individually and savor it over a period of time. This book has a beautiful presentation. At the beginning of each chapter color graphics can be found. They add a nice touch. I received a copy of this book from the publisher in exchange for my honest opinion. This book is POWERFUL -- yet very PERSONAL. It is as if Elder Holland is having a one-on-one private chat with each of us. Each chapter has a unique message of guidance, hope, and comfort. 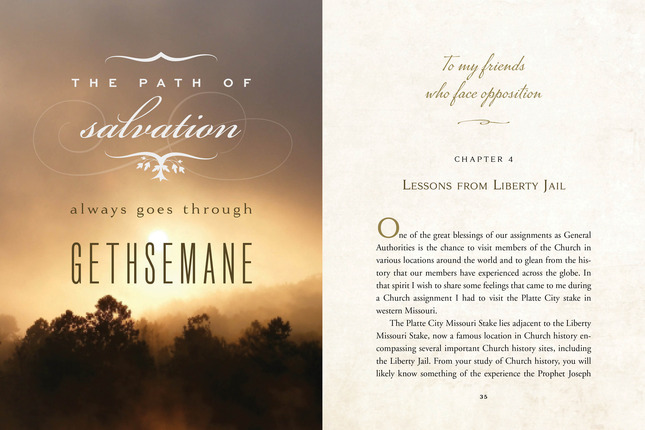 Each chapter also starts with a "beautifully designed quotation" to visually help bring that message into our hearts. In one of the chapters Elder Holland talks about being a friend...one who will help lift us up, not beat us down. And so each chapter starts with the phrase "to my friends ____." But more importantly you will feel of the Savior's love. "I am grateful for the greatest friend any of us could ever have, the Lord Jesus Christ." It has the potential to change hearts, minds, and lives. Very nice to have 21 of Elder Hollands talks in one place where I don't have to go look for them. His words, thoughts and encouragement are uplifting and inspiring. I want to read and re-read them just like I do with the scriptures. I don't know him personally but I feel like I am one of his friends. "To my friends" for those who Love the Lord! = Yes we are! "To my friends" for those who want to change = Yes we are! "To my friends" for those who face opposition & more = Yes we are! ***Live it at all... Defends your beliefs with courtecy AND compassion, but DEFEND Them! ^**With teary eyes, reading this book...:. just Awesome!! *** As Eldet Holland said in this marvelous book; GOD KNOWS WHAT YOU NEED. He wants you to pray about what you need, and He wants you to Work for it, and believe God knows & will PROVIDE. It's a good compilation of past talks, but there's nothing new in the book. It's a pretty little book, but it's not really a "personal, private, closed-door chat" with Elder Holland (at least, I can't see him sitting someone down in his office and then just reading one of his old talks to them). This is a collection of some of his best past talks, yes, and a couple of them are quite hard to find. Nevertheless, there's nothing new that was written just for this book. It's merely a rebinding of 21 talks (12 from General Conference, 5 from CES Firesides & BYU Devotionals, and 4 from other sources), the vast majority (17 talks, i.e. 81%) available for free online. True, it's a lovely hardbound book, but it's not what one might expect from reading the description (at least, I didn't see anything in the description that clearly said the book was just a reprint of past talks). That said, for someone who doesn't know how to use the internet (if there's actually anyone left on Earth who doesn't) or for someone who would like a hard bound collection of Elder Holland's best talks so far, this is a pretty little book. Just don't expect it to be more than it is. My favorite general authority, but these are talks you have heard with videos available on LDS.org for free. Very disappointed. Those prolonged speeches of what you need to do in order to obtain true happiness. The overwhelming feeling of inadequacy you get when you start to read something that is supposed to help you with overcoming the thing you're struggling with. This book is not like any of those books. I love this book tremendously. There is a topic for almost every situation. It not only enlightens the mind, but uplifts the soul. It gives a person hope. Definite MUST READ!! !